Cape Town - The Proteas can look forward to good limited overs conditions for the first ODI match against New Zealand at Boland Park in Paarl on Saturday. Seamer Rory Kleinveldt expects “pace and bounce” at his second home ground, with his local insight assured to be in the Proteas’ favour. The Proteas thrashed Sri Lanka by 258 runs after posting a mammoth first innings score of 301 in the ODI held there last year. The conditions favoured the seam pair of Morne Morkel and Lonwabo Tsotsobe on that occasion, with the visitors unable to cope with the barrage of short deliveries bowled at pace. Conditions may vary slightly this year because it is a day game and the region is experiencing hot and dry weather, but scores from the recent One-Day Cup lean towards high-scoring odds. 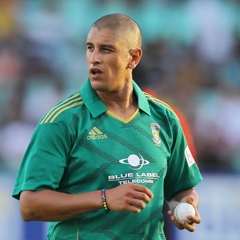 Kleinveldt was the leading wicket-taker for the Cape Cobras in this season’s One-Day Cup and is an experienced campaigner with 101 List A caps and 121 wickets. Those recent records suggest that he may be more suited to this format, but he still rates himself as an all-round performer. This is the second ODI in Paarl in as many years, and current ticket sales suggest that the Proteas will play in front of a full 10 000-strong crowd again. Boland Cricket Union CEO Omar Henry says the preparations are smoother the second time around and that they have made good progress from the short-comings experienced last year. “If you take it back to last year, I think we surprised a lot of people out there with the staging of the ODI,” Henry said. “Last year was a good eye-opener about our short-comings but it also gave us a positive indication of the highs we can reach as a union. This stadium continues to be a work in progress but we are really excited about the improvements we have made. "We have challenged ourselves to improve according to Cricket South Africa’s assessment and we have made good progress. We are looking forward to a packed house, an awesome atmosphere and a great showing of international cricket,” Henry concluded.